You (and Almost Everyone You Know) Owe Your Life to This Man! It’s October 1962, the height of the Cuban missile crisis, and there’s a Soviet submarine in the Caribbean that’s been spotted by the American Navy. President Kennedy has blockaded Cuba. No sea traffic is permitted through. The sub is hiding in the ocean, and the Americans are dropping depth charges left and right of the hull. Inside, the sub is rocking, shaking with each new explosion. What the Americans don’t know is that this sub has a tactical nuclear torpedo on board, available to launch, and that the Russian captain is asking himself, Shall I fire? The Russian in question, an exhausted, nervous submarine commander named Valentin Savitsky, decided to do it. He ordered the nuclear-tipped missile readied. His second in command approved the order. Moscow hadn’t communicated with its sub for days. Eleven U.S. Navy ships were nearby, all possible targets. The nuke on this missile had roughly the power of the bomb at Hiroshima. These 3 sentences could have ended the world if there were no heroes, superhumans to stand their ground to what’s right. 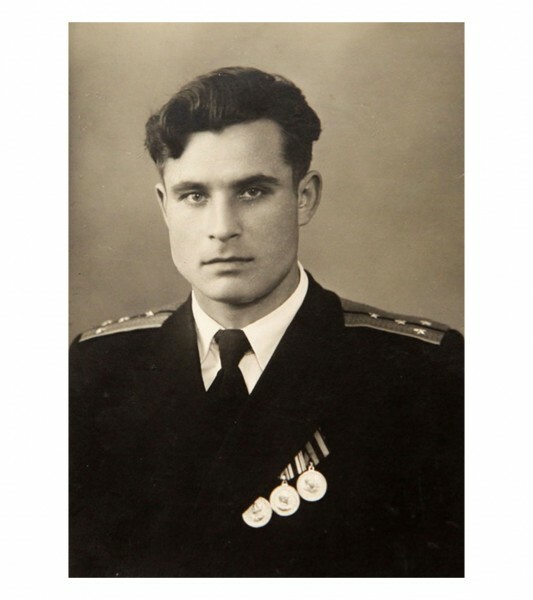 But it didn’t happen, because that’s when Vasili Alexandrovich Arkhipov steps into the story. He was 34 at the time. Good looking, with a full head of hair and something like a spit curl dangling over his forehead. He was Savitsky’s equal, the flotilla commander responsible for three Russian subs on this secret mission to Cuba—and he is maybe one of the quietest, most unsung heroes of modern times. What he said to Savitsky we will never know, not exactly. Arkhipov, described by his wife as a modest, soft-spoken man, simply talked Savitsky down. The exact details are controversial. The way it’s usually told is that each of the three Soviet submarine captains in the ocean around Cuba had the power to launch a nuclear torpedo if—and only if—he had the consent of all three senior officers on board. On his sub, Savitsky gave the order and got one supporting vote, but Arkhipov balked. He wouldn’t go along. He argued that this was not an attack. Looking back, it all came down to Arkhipov. Everyone agrees that he’s the guy who stopped the captain. He’s the one who stood in the way. He was, as best as we can tell, not punished by the Soviets. He was later promoted. Through those almost unbearable conditions both psychologically tense and physiologically tormenting because of the poor conditions inside the subs, Arkhipov, somehow, managed to keep his cool and think reasonably. That’s what makes him a superhuman. No matter the conditions and psychological pressure he protected the honor of being a human. Where most of us would act as animals he stood up for humanity. And in all probability, saved the world. Don’t forget that your actions matter. No matter who you are, what you choose matters even if that’s something as small as stopping a school fight to escalate. There are no conditions that can stop you from being and remaining a human.